This summer, I’ve been lucky enough to be involved with some fascinating programmes through the Free Word Centre in London’s Farringdon Road. Free Word is a venue that brings together a number of organisations dedicated to writing, debates, free speech, and human rights, and it hosts events, films, exhibitions, and programmes on a range of themes. My involvement started earlier this year when Free Word hired me as the historical consultant for their exhibition Politics & Olympics: Ideals and Realities, which opened in May and runs through to the last day of the Paralympics in September. I worked with the talented curatorial and development teams to bring the exhibition together, and it is going really well. It is not anti-Olympic; rather, it uses images from the history of the Games to raise questions about sport’s relationship with politics, including diplomacy, body politics, terrorism (by states and non-state organisations), human rights, and commerce. Through this link, I have got involved with Index on Censorship, one of the organisations that is based at the Free Word Centre. 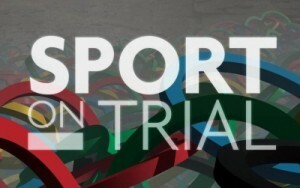 On 19 June, Index will launch its special sport-themed issue, called Sport on Trial. Edited by Jo Glanville, it will contain provocative articles on a number of sporting-themes, exploring the links between sport and politics in both democracies and dictatorships. You can get a flavour of it from Mihir Bose’s article, ‘Sport v Human Rights’. Working with Stephen Escritt, one of the Politics & Olympics exhibition’s curators, I have co-written an article for it on the word ‘Olympic’. To launch the issue, the Free Word Centre is hosting a panel discussion on Tuesday 19 June, starting at 6.30pm. I’ll be joining Jo Glanville, author and broadcaster Mihir Bose and professional footballer Clarke Carlisle, who works for the Professional Footballers Association and for Kick It Out. It promises to be an interesting event: with racism at the Euros and the many political issues being raised by London hosting the Olympic Games, the time is right for open debate.